Who would’ve thought I would write about nursing challenges when my baby is approaching his first birthday? But it happens. sigh. We found out in early December that we were expecting our third child. Around week 6 of pregnancy, like clockwork, morning sickness struck with a vengeance. It was just the yucky nausea, but when you’re not used to it, it feels completely miserable…until the vomiting begins and then you realize that all-day nausea was the good life. But what happened with me was that any time I would nurse my baby, I felt an overwhelming wave of nausea that was way above the usual nausea. I can’t even explain it except to say that it was a whole different kind of miserable. Sometimes, the simple act of feeding my baby would send me running to the bathroom to lose my lunch. And that’s about the time that it hit me. I’m not eating for two, I’m eating for three. Mommy, Andrew, and the baby bagel that’s in the oven. I googled the subject and found a few things that simply said yes, this happens. No real explanation beyond the usual “hormones,” which, if you didn’t know, are to blame for pretty much anything during pregnancy. Morning sickness? Hormones. Puffy eyelids? Hormones. Spontaneous combustion? Hormones. I tried to think of which friends of mine have had kids close together and breastfed. Because breastfeeding can be a great form of birth control (hahahaha, that’s funny), my list wasn’t too long, but I called a couple of women. And of course, they had never experienced this phenomenon. In the meantime, breastfeeding my 10 month old was a real act of love because for the first time, I hated it and dreaded it. I didn’t want to quit when the goal (1 year) was so close. But even if I did, it wouldn’t make sense to introduce formula for two months. And I’d have to put it in a sippy cup anyway because Mr. Picky won’t take bottles. As for introducing milk just a tad bit early, that was completely out of the question. Andrew has shown signs of food allergies so the pediatrician has instructed me to introduce milk on his birthday at the earliest. No sooner. I did try significantly increasing my caloric intake to avoid nausea caused by a blood sugar drop, but I didn’t notice a difference. I discussed the problem with my mother, who sucessfully nursed all seven of her babies, including twins. She figured out part of the problem immediately. She asked “But the nausea can’t be that bad…at ten months, you’re probably only nursing him a few times a day, right?” I sheepishly said “Um, more like 5 or 6 times, and whenever he wakes up at night.” Mom said it was time to start dropping feedings. Now. For my sake. There was no way I could make it to 1 year with the way I was feeling. I tried to take it just one day at a time, but those days were rough. I’ve always let the baby take the lead with dropping feedings. With Isabelle, I don’t remember how we dropped feedings, I just know that eventually, she was only nursing 4 times a day, then 3, and 2 times a day by the time she had her first birthday. I tried the “don’t offer, don’t refuse” method of weaning for Andrew and he was totally fine with it. he just became a bigger pig at mealtimes. By the end of that week, I was down to nursing three times a day, morning, noon, & night, with no middle of the night feedings whatsoever. And he went back to sleeping through the night again too. The result was that my crazy nausea was at least reduced because I was nursing him less. 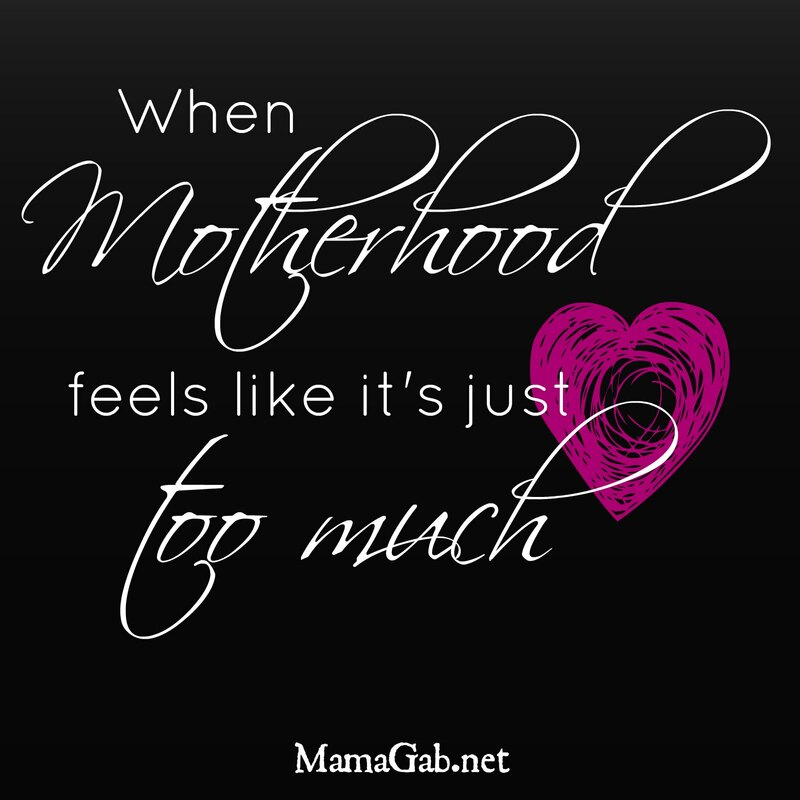 Since dropping those feedings, there have been a few yucky moments where I feed the baby and run to vomit immediately, but those times are few and far between. He’s now down to only two nursings a day, and as we approach his first birthday, I’m kind of sad. I’ve never weaned a baby at one before, but I know it’s time. And lately, Andrew’s nursing behavior indicates that he’s ready to be done too. He’s hardly interested in it at all, but that just makes it easier for me. Oh, these babies…they get too big, too fast.